Cancellation Watch: Dracula and Almost Human Improve Their Numbers, Is There Still Hope for Them? Two struggling shows got some good news from the Nielsens over the past few days, but I’m not certain if it is good enough to change their fates. 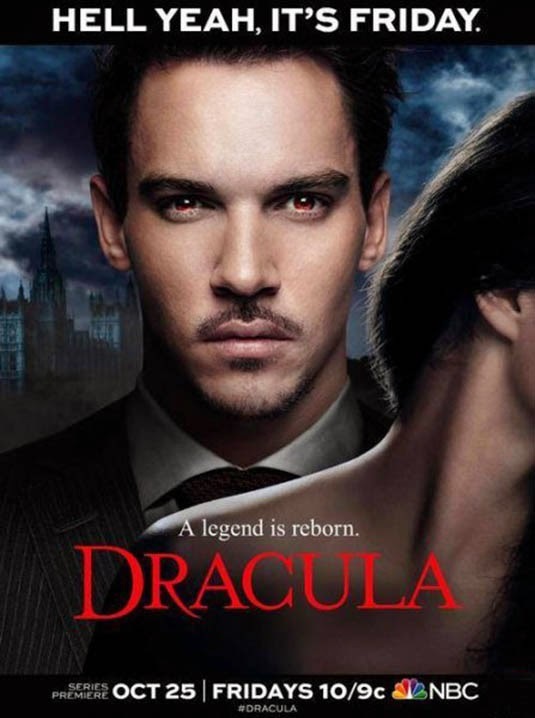 NBC’s Dracula improved to a 1.1 rating in the 18-49 demographic with 3.8 million total viewers on Friday for its Fall finale which is the best numbers that show has seen in weeks. But after residing below the 1.0 mark for several weeks prior to that, I’m not sure that will help this show’s cause too much. It was originally pitched as a limited run “event” series and I’m thinking NBC will decide to stick with that based on the show’s ratings. However, if it does hold at the 1.1 level or higher when it returns January to air out its final four episodes, there is a slight chance the network could decide to bring it back for another go next season. The guys over at TV by the Numbers have pondered whether this one could be the current season’s Hannibal (which was renewed despite low ratings), but I’m not so sure considering that it does not have as strong of a social network presences as that one. It will be January before we have a clearer picture on Dracula‘s fate, but I’m still considering it de facto cancelled at this point. On FOX, Almost Human improved slightly on Monday to a 1.8 rating in the 18-49 demo with 6.1 million total viewers. Those are still pretty low numbers, but at least it stopped its decline. If it can hold there again next week or even improve a bit, then continue to build on that when it returns January, it might still have a chance. However, my gut tells me that this one is in serious trouble, but I’m going to wait for the January numbers before I start coming down hard on it with the Cancellation Threat levels, because I believe the FOX execs will be doing the same thing considering its late start. In other ratings news, on Friday Grimm did another bounce-back and pulled a 1.6 score in the 18-49 demo with 6.3 million total viewers as it continues to anchor NBC’s lineup on Fridays. ABC’s The Neighbors is still struggling on that night pulling only a 0.9 rating with 4.2 million total viewers. It’s Fall wrap up is this Friday and that could very well be its final episode as well. The CW’s Nikita continues to fly low, though it did improve slightly to a 0.3 rating with about 850k total viewers. That show’s series finale will be later this month. Also on Friday, Syfy’s Haven pulled another 0.4 score with 1.4 million total viewers as it winds down what could be its final season. On Sunday, Once Upon A Time improved a bit to a 2.1 rating in the 18-49 demo with 6.9 million total viewers. That series has its Fall wrap-up next week before going on an extended hiatus until March of 2014. Lifetime’s The Witches of East End was preempted but returns this coming Sunday. On Monday, Sleepy Hollow had a rather tepid Fall finale matching its season low with a 2.2 rating and 6.7 million total viewers. It returns in January to air the final three episodes of its first season (and it has already been renewed for a second season). Keep an eye on the Cancellation Watch Twitter Site for the latest ratings numbers, and you can see the current status for all this season’s genre show at this link. And for more information on the ratings numbers and how I determine the Cancellation Alert status of a show, see the Cancellation Watch FAQ. Doggone it I am rooting for Almost Human to survive as I enjoy more than I thought I would.